The common meaning of the word pair, (derived from the Latin par meaning’equal’) refers to two of something. A pair is a set of two things used together or regarded as a unit. Whether this is something joined, like scissors or pants, or separate as with socks or earrings – there’s a definite connection. Of course, the word pair can also used in the context of pairing off, up or with – but while you’re having a think about what it means to you, here are a few of my examples. 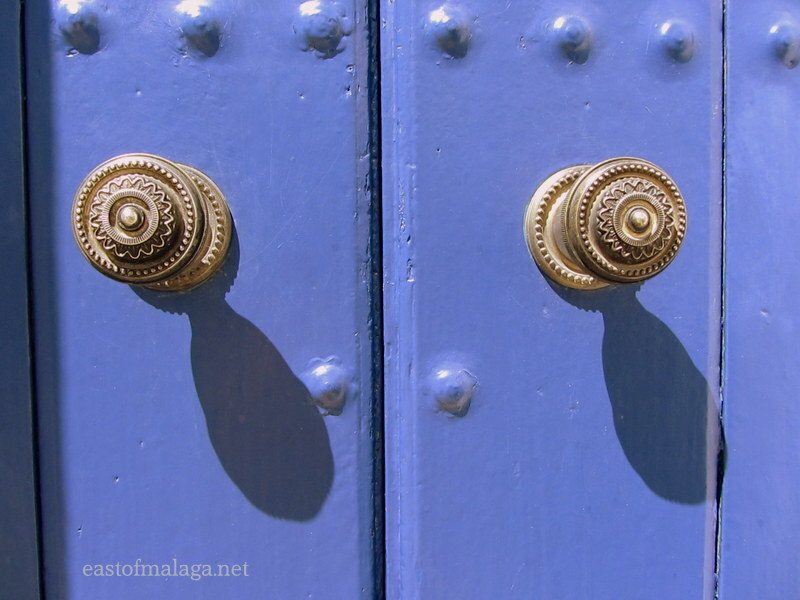 My first photo shows a pair of door knobs and their shadows, taken in the pretty, white mountain village of Frigiliana. This blue door is in the top part of the village, only accessible on foot, up a series of stone steps cut into the streets. There is no motor vehicle access up the steep streets to this part of the village, which remains largely how it must have looked hundreds of years ago, when the village was occupied by the Moors. 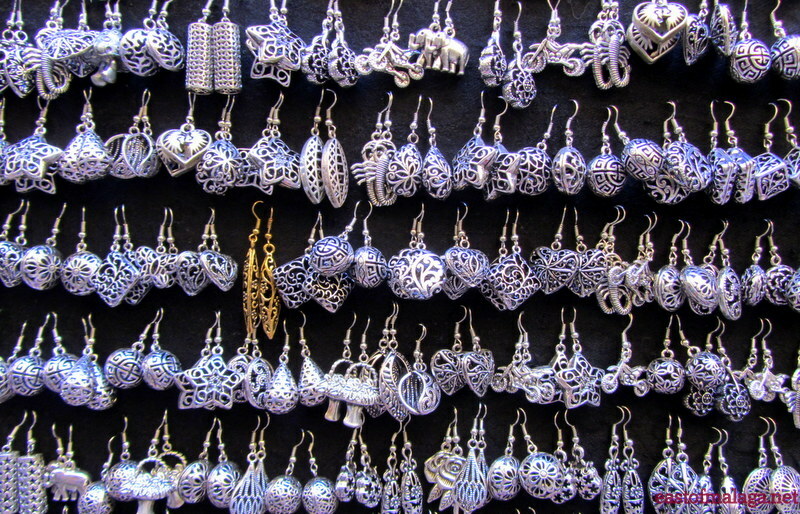 I spotted these earrings for sale in the old silk market, whilst we were visiting Granada earlier in the summer. I particularly like the fact that amongst all the silver coloured pairs, there is just one pair that is different. July 2013 was the tenth anniversary of the Andalucian town of Baeza being granted UNESCO World Heritage status. 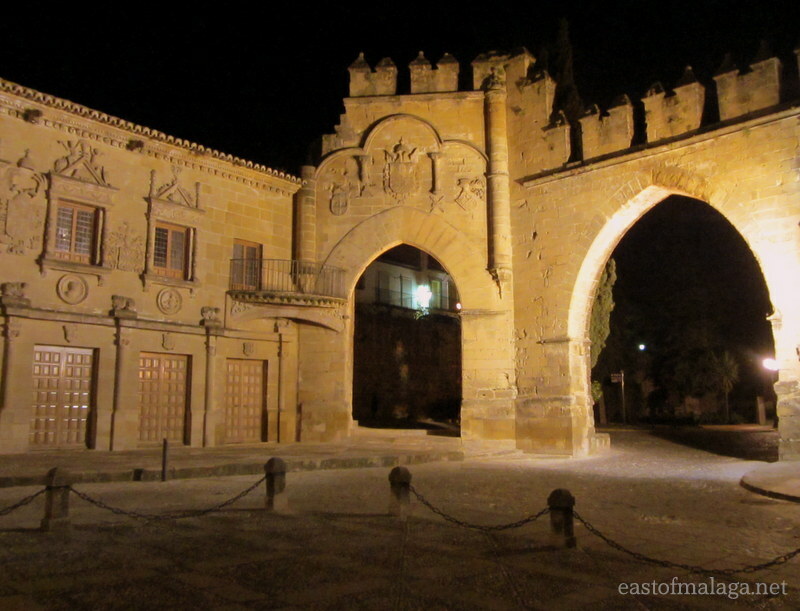 The lovely Renaissance-styled town is a fascinating place to visit and here you can see two arches through the old city walls, beautifully lit to enhance their features. In a festival that dates back several hundred years, many coastal towns and fishing villages in Spain celebrate the Fiesta del Día de Virgen del Carmen as the protector of mariners and fishermen. Of the many fiestas and festivals celebrated around here, this is one of my favourites, as the statue of the Virgen del Carmen is paraded through the streets before being loaded onto one of the decorated fishing boats and taken out to sea to bless the fishing grounds. 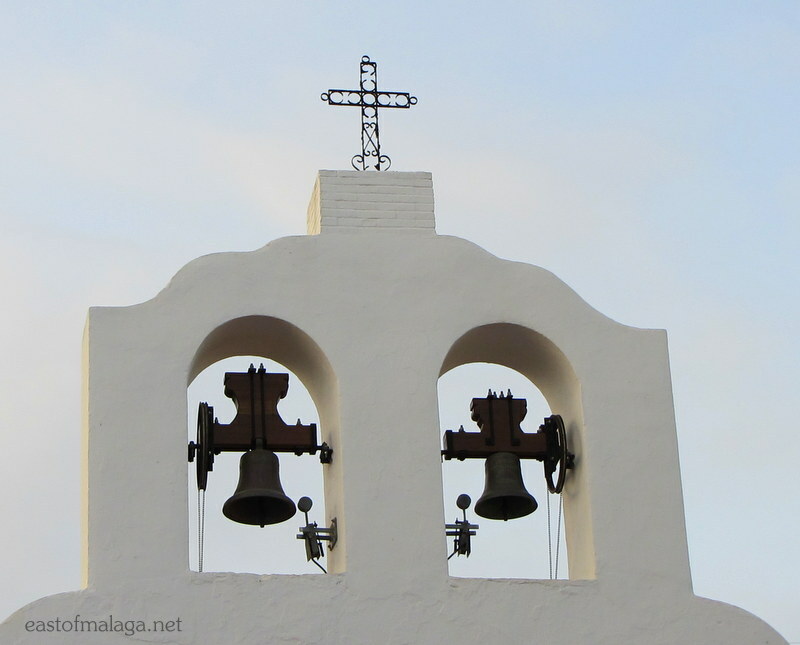 In this photograph you can see the pair of bells situated above the village church from where the statue emerges, used to call the faithful to prayer. And finally, especially for you ladies, how could I resist taking a quick snap of this postcard for sale displayed on a stand outside a local shop showing a cheeky pair of buttocks belonging to a bullfighter?! 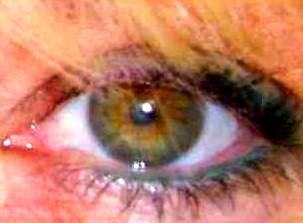 ** Nicole at thirdeyemom.com is a blogger and social-good advocate living in Minnesota, USA who travels and experiences the world using her “third-eye”, meaning with an open heart and mind. She works hard to build awareness on some of the biggest social issues in the world and has written about global health, poverty, education, safe water and sanitation, human rights, and most of all, how all of these issues have especially impacted women and girls in the developing world. Nicole takes the most amazing photographs and maybe you can learn about some of the tips she picked up recently from National Geographic photographer, Kelley Miller. ** Red Hen Run follows the Adventures of an Irish Mother of three teenagers, who is a half marathon and marathon finisher. Always preferring to be on the go – she runs, but also pecks at photography, cooking, reading and history. As I am not a runner, I particularly liked the look of her Prawn and Leek Fricasee, but if running is your thing, you can find lots of useful information about training, sports bras, the use of earphones or just the plain old wisdom of running. So that´s the CBBH Photo Challenge for October, everyone! Did you enter the “Capture the Colour” photoblogging contest last year? I did – along with thousands of others, and you can see my entry here. The idea was simple – publish a blog post showcasing five of your favourite travel photographs which best capture the colour of the five categories: red, blue, green, yellow and white. The Capture the Colour Contest proved so popular that it’s back again for 2013 and this is my invitation to each of you to search through your photo libraries and see what you can come up with. To get you in the mood, whilst you are searching for your multi-coloured photographs, I thought you might like to pluck out one or two PINK photographs for this month’s CBBH Photo Challenge. I’ve written about some of the wildflowers of Andalucía before, but of the many different colours, the pink blooms are my favourite! 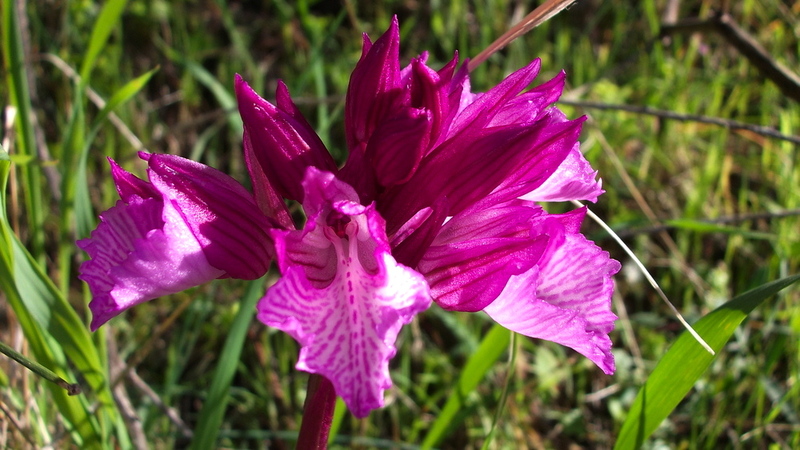 The photo above is of one of the wild orchids growing on our land. Their colour is so vivid, and the markings on the petals are very distinct. 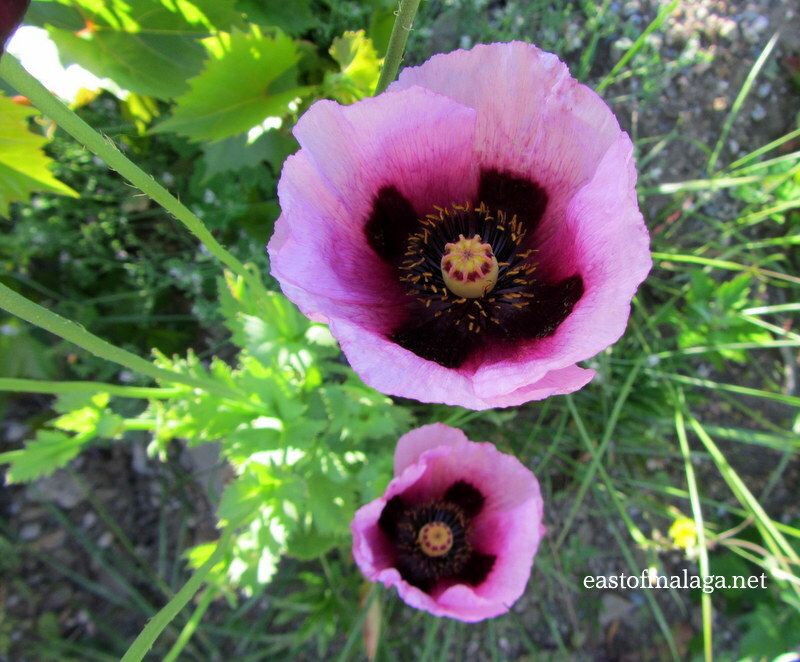 Here is one of the delicate dusky-pink wild poppies, whose blooms disappear after just one day. I love to see both orchids and the poppies as they herald the coming of the summer months, here in Andalucía. 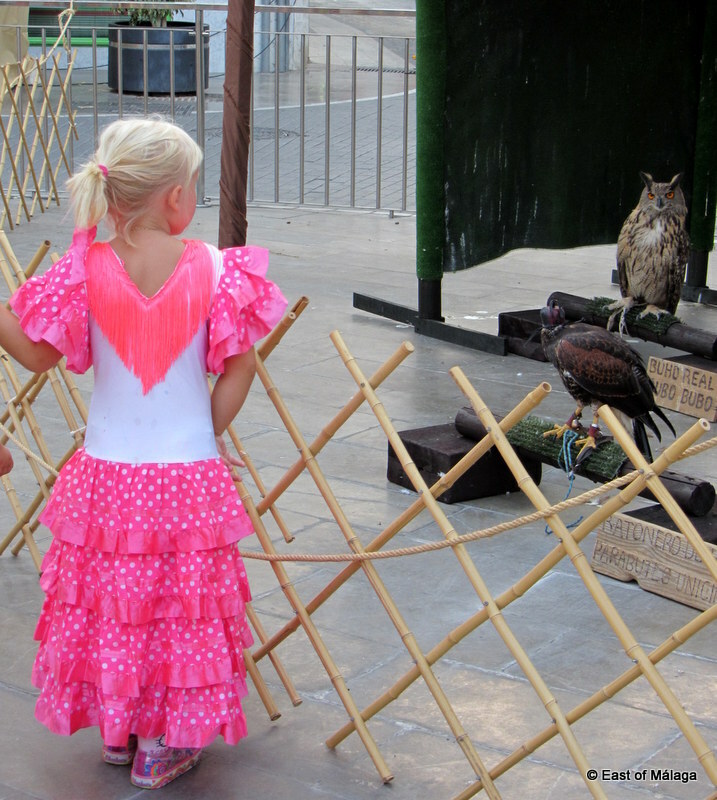 This little lady in her bright pink flamenco dress was cautiously eyeing up some of the beautiful birds of prey at the Medieval Market in Torrox pueblo last year. Love it or hate it, bullfighting is a long standing tradition in Spain. This is one of the auxiliary toreros (bullfighter or matador) in his elaborate embroidered costume, assisting the featured torero. As evidenced here, it’s a myth to think that bulls are attracted by the colour red. Cattle are colour-blind, and it is the movement of the cape (capote) that attracts them. 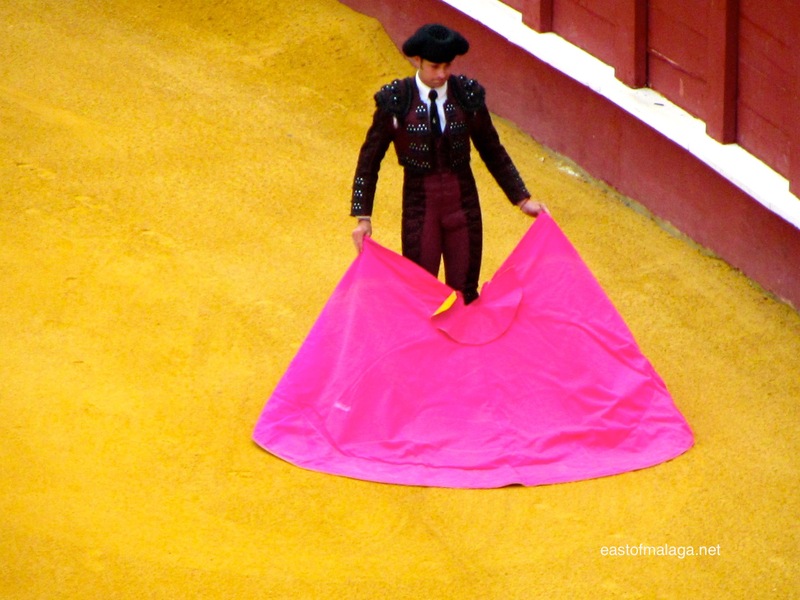 During the first phase of a bullfight, the bull is tested for it’s strength and aggressiveness by toreros using magenta and yellow capes. 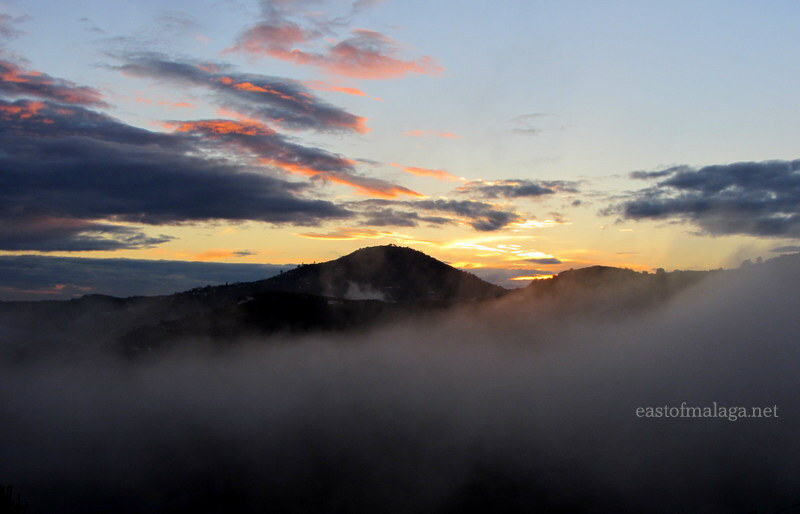 I’ll finish with one of the beautiful sunsets, featuring shades of pink and yellow, developing into reds and purple that we regularly experience around the Axarquía region – east of Málaga. 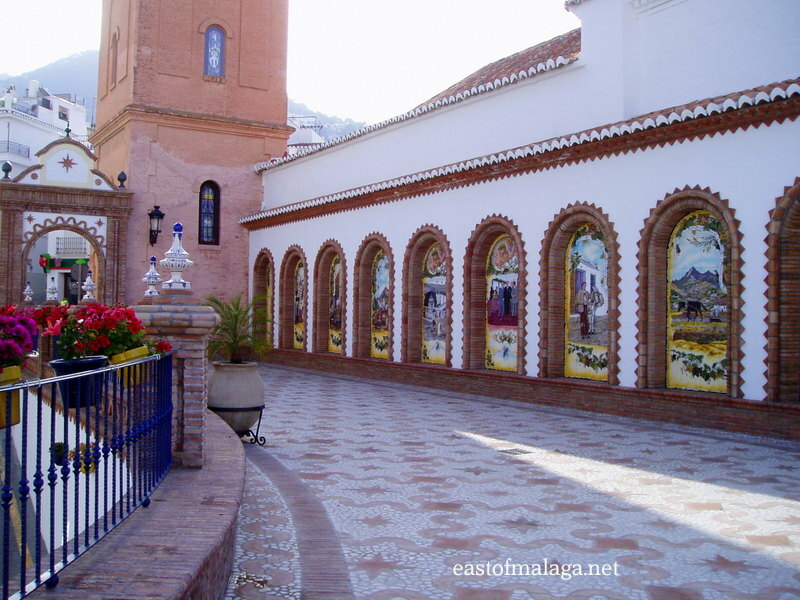 ** Village Life in Andalucía reveals some of the secrets of living in a small inland village, deep in the heart of Andalucía. John, sometimes referred to as “Pueblo Man” writes with a very easy style, and his latest offering, The Not-so-Common Chameleon, reminds us that this beautiful little creature is on the endangered list. I discovered the Village Life in Andalucía blog whilst I was trying to find out more about one of my favourite Spanish fish dishes – Rosada. Fortunately, John answered my question, “What is Rosada?” by informing me that it’s not even a Spanish fish at all! Sure is tasty though! ** Loren over at Cemetery Travel: Adventures in Graveyards Around the World describes herself as a “cemetery enthusiast devoted to cemeteries“. Her latest “Cemetery of the Week” features Drummond Hill Cemetery at Niagra Falls in Canada, but if you are interested in interment in Italy, France, China, India, England or around the USA, there’s something here for you. So, if like me you are a taphophile, a tombstone tourist or a cemetery hunter, why not pop over to Loren’s blog, and tell them Marianne sent you!? 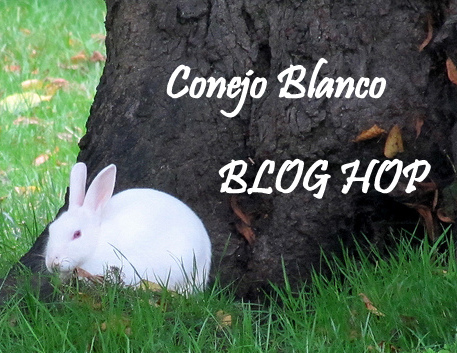 So that´s the CBBH Photo Challenge for September, guys! Do you remember the childrens’ guessing game “I Spy with my little eye“? Often used in answer to cries of “Are we nearly there yet?” during a long car journey or whilst waiting for an appointment, this game not only encourages participants to actively look out for items related to the game, but also to home in on the world around them. Imagine though, that as well as looking through your own eyes, you were encouraged to appreciate the point of view of others. To develop the ability to imagine what life would be like if we were not constrained by our own vantage point. For this month’s CBBH Photo Challenge, my question to you is: “WHAT DO YOU SPY WITH YOUR LITTLE EYE?” Show me something either wholly from your point of view, or alternatively imagine what something would be like from someone else’s point of view. 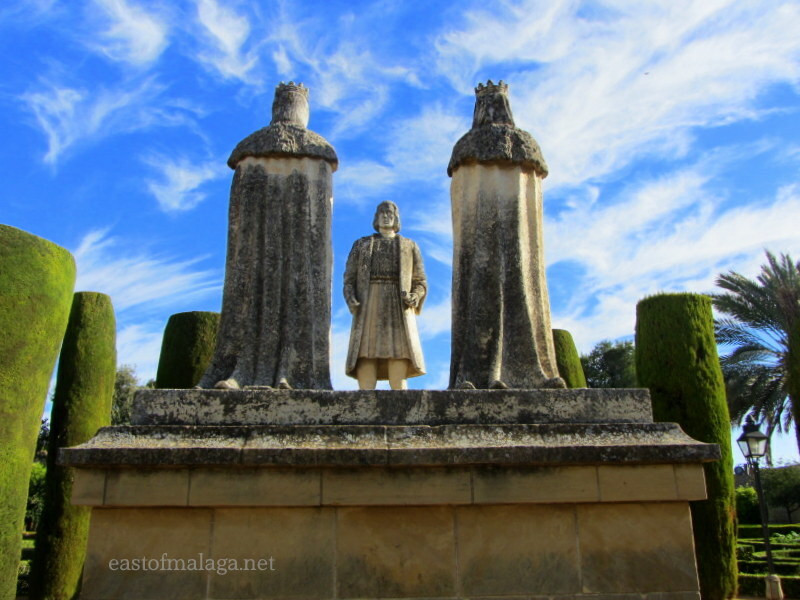 Situated in the gardens of the Alcázar of Córdoba, (also known as the Alcázar of the Christian Monarchs), this monument commemorates the meeting between the Catholic Kings, Ferdinand II of Aragon together with his wife, Isabella I of Castile, and the explorer, Christopher Columbus. After continually lobbying at the Spanish court and following years of negotiations, Cristóbal Colón (as he is known in Spain) finally achieved success in 1492 by securing funds to support his quest from the Christian Monarchs. Ferdinand and Isabella bade Columbus farewell as he set out to chart unknown territory and discover what (for Europeans) was a new world. The Monument of the Catholic Kings is set amongst shafts of sharply pruned cypresses within the spectacular gardens of the Royal Fortress. One can only imagine what would have happened had Columbus been unsuccessful. 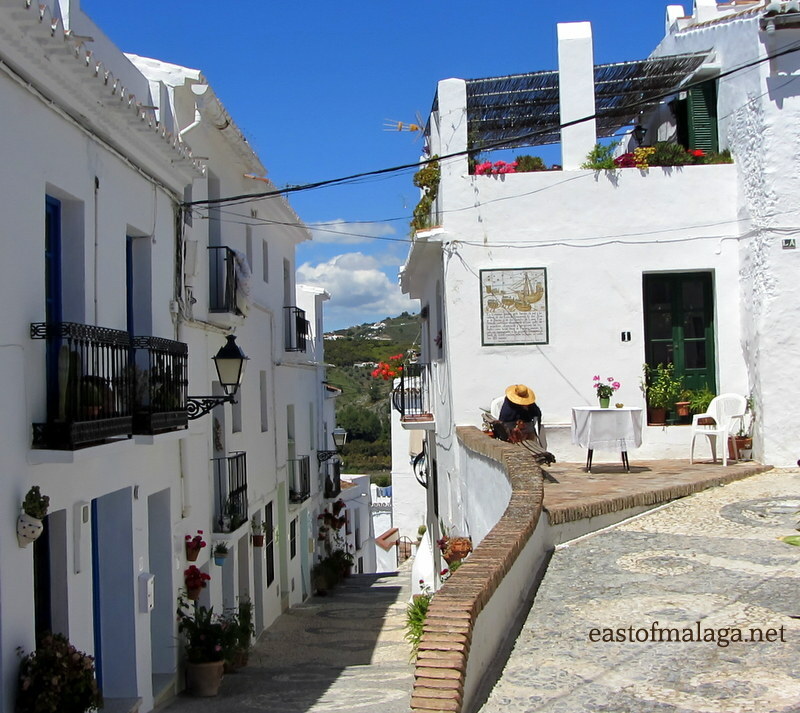 Here you can see Calle Alta (High Street) in the upper part of the white village (pueblo blanco) of Frigiliana. There is no motor vehicle access up the steep streets to this part of the village, which remains largely how it must have looked hundreds of years ago, when the village was occupied by the Moors. Can you see the old lady asleep in her chair outside her front door? Above her head there is one of a number of plaques to be found around the village which tell the history of Frigiliana. Everytime I visit, I wonder when was the last time some of the frail, old people who live in and around Calle Alta came down to visit the rest of the village. This year, I was fortunate to be in the capital city of Andalucía, Seville, for the huge processions to celebrate the religious festival of Corpus Christi. The night before the festivities, the streets are strewn with rosemary and flower petals, balconies are draped with shawls, and shrines are erected at various points along the route. An unusual feature of Corpus Christi celebrations comes at the end of the procession, when the dance of “Los Seises” is performed in the Cathedral by young choirboys dressed in medieval-style costumes. The main procession started around 8.30am and finished back at the Cathedral around midday. 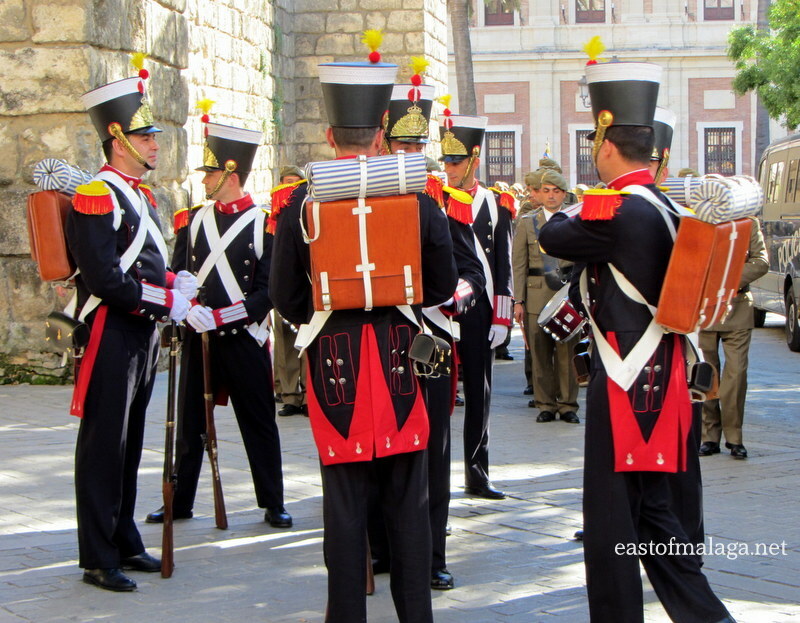 This year, however, there were further processions in the city, later in the day, as this was also The Armed Forces Day! Now, anyone who knows me will tell you that I have a soft spot for a man in uniform 😉 so my eye was drawn to these soldiers who were wearing authentic historical uniforms. Of course, it’s difficult to envisage the difficulties faced not only by the men who wore these original uniforms with their lack of modern equipment, but also by today’s soldier with the benefit of up-to-date weaponry, but fighting a total different kind of foe. 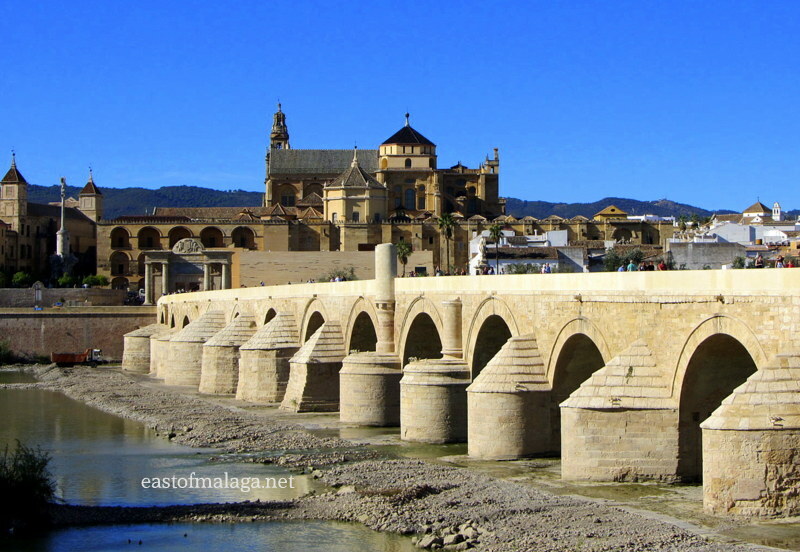 There has been a religious building on the site of the Catholic Christian Cathedral of Córdoba, more popularly known as the Mezquita, since 600AD. The original Visigothic Church of St Vincent became a mosque and, over the years a number of alterations and domes with skylights were built to admit extra light. 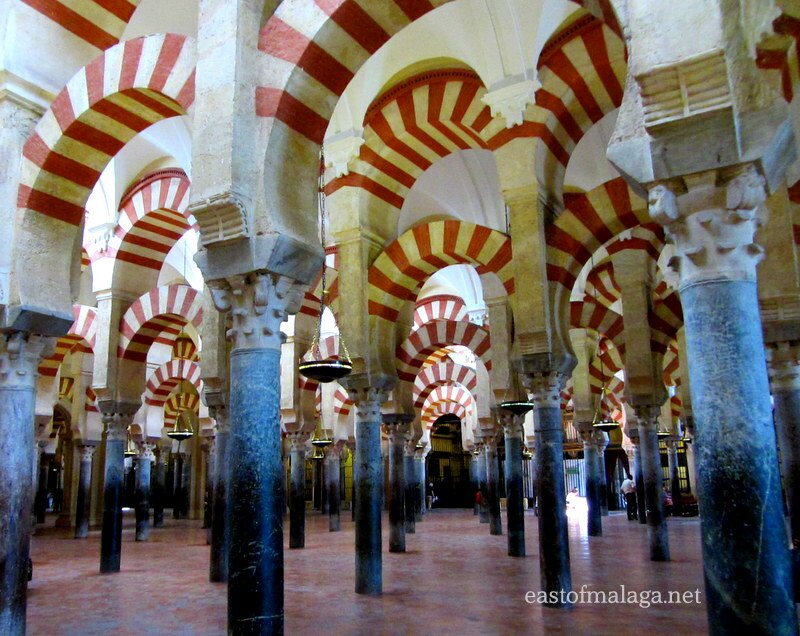 The 16th-century saw the start of 250 years of work commence to build a Christian Cathedral in the centre of the mosque (hence the often-used description of ‘Mezquita-Cathedral’). The building exhibits a range of changing architectural styles and is most notable for its arcaded hypostyle hall, with 856 columns of jasper, onyx, marble, and granite. The famous alternating red and white double arches were a new introduction to architecture at the time, permitting higher ceilings than would otherwise be possible with relatively low columns. Whenever I am wandering around the Mezquita, I can’t help but wonder about the men who worked on building these magnificent columns. Could they have foreseen their work would still be standing more than one thousand years later? Being a bit of a petrol-head, I love the smell of testosterone…sorry, petrol fumes, whether it’s Formula 1 or MotoGP, so my final image for this month’s challenge was the view I had when I visited the Andalucían city of Jerez, to see the annual MotoGP motorcycle world championship race. We don’t like to get tickets for the stands, as we prefer to wander around amongst the true fans, trying to get the best view. There are some real characters turn up for these races – some in fancy dress, others playing instruments and banging drums, some setting off fireworks, as well as usually someone wandering around with a leg of Serano ham and a big knife, offering to cut you a slice! There are usually 125,000 spectators at the race-track and the majority of them arrive on motorcycles themselves. It’s the only place I have ever seen a traffic jam consisting solely of motorbikes! Of course, this was my view of the race, but what must it be like to be one of the riders in the race ? Would you be excited or terrified? Thank you ladies for your continuing support of my blog and it is my pleasure to feature you both this month. 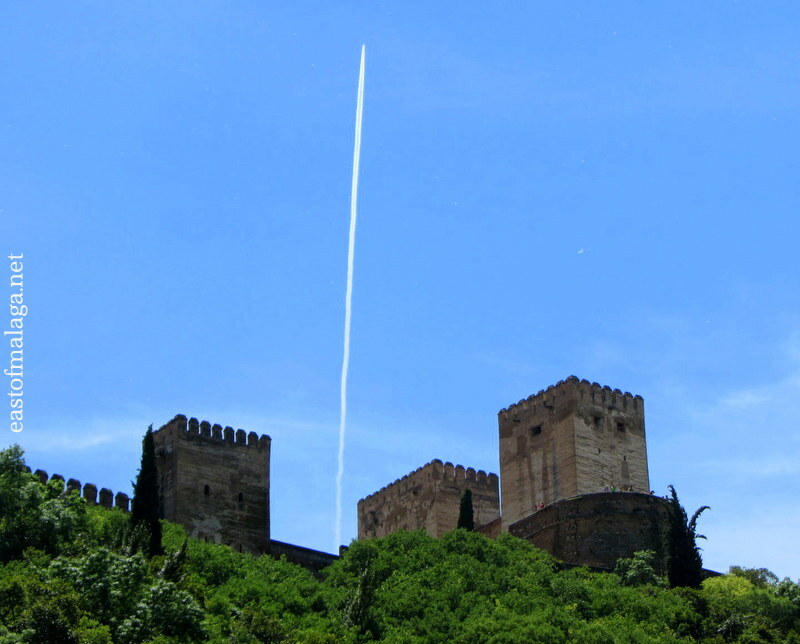 ** The Hidden Spain Blog features tales from an area of Spain I have yet to visit – Extremadura. Sue writes her Letters from Extremadura which feature recipes, days out, as well as fantastic posts about return visits on the ferry to the UK. I particularly enjoyed her recent post “A Grand Day Out” – (I soooo love Wallace and Gromit – don’t you?) when she visited Trujillo during the first weekend in May for the National Cheese Fair. 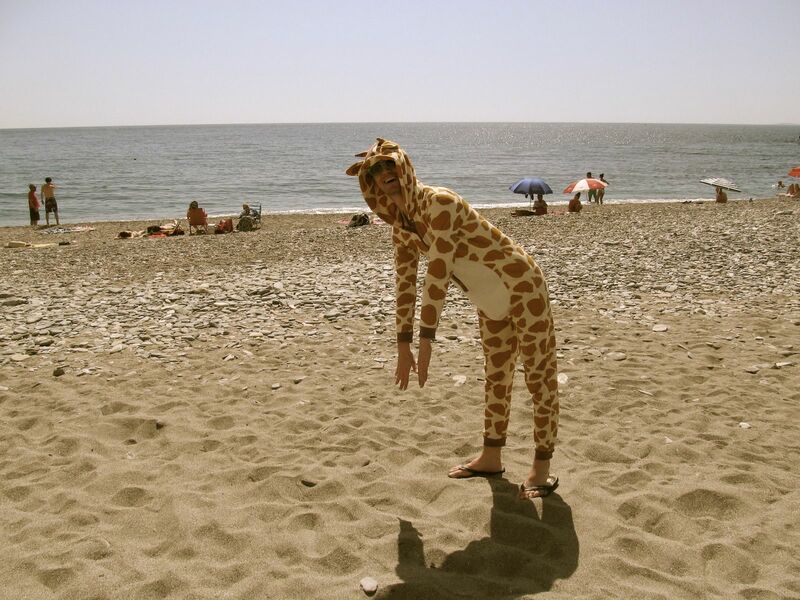 Sue is a great photographer and supplies us with a multitude of shots to give us a real flavour of the Hidden Spain. I’d love you to hop over and say HOLA! 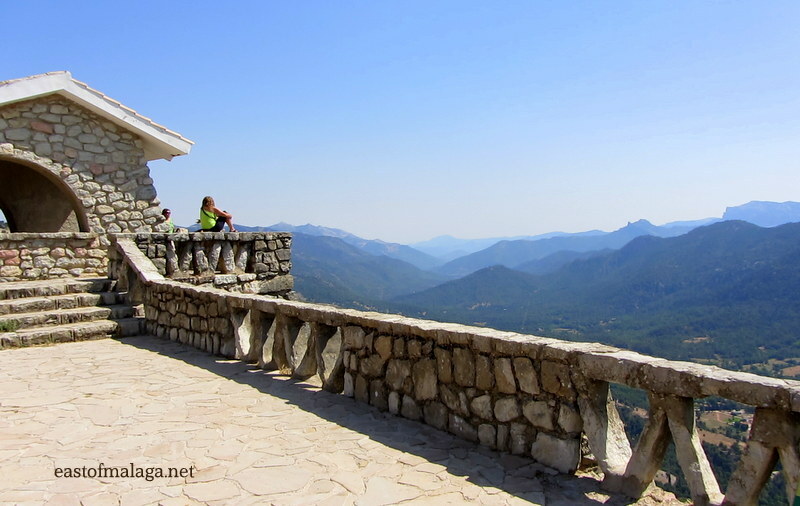 So that´s the CBBH Photo Challenge for July, everyone! Among the Impressionist artist Claude Monet’s most notable work is a series of 25 canvases called Haystacks. The primary subjects of all of the paintings in the series are stacks of hay in a field, after the harvest season. Monet began painting the Haystacks at the end of the summer of 1890 and continued through to the following spring. The series is well known for the use of repetition to show differences in perception of light across various times of day, seasons, and types of weather. And, we can do just the same thing with photography. Returning to a place at a different time of day, in varying weather conditions, during another season or even many years later can result in vastly different photographic images, due to the changing conditions. Irina Werning has captured some fascinating images at her Back to the Future project – why not take a look? I’m sure you will have a laugh at some of them! For this month’s CBBH Photo Challenge I want you to show me at least two photos taken of the same subject (slightly different angles are allowed, but it has to be obviously the same subject matter) taken at different times. Will it be a person, changing over time? Trees and flowers growing from newly planted to almost taking over your garden, or places you have travelled to that have changed dramatically since a previous visit? GO AHEAD, SURPRISE ME! Want to see my interpretation? Here is a view of the hills on one side of where I live. As you can see, in this photo it’s a bright sunny day. This is the same view in an evening when the mist has rolled up the valley from the Mediterranean Sea. I love it when this happens as all I can see is cloud swirling below my castle in the sky! 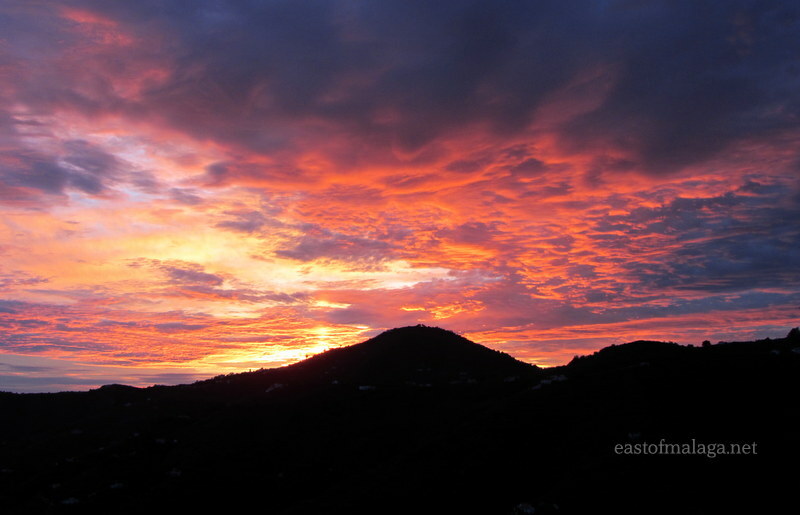 ….and here is a shot of the spectacular sunsets we are blessed with, over the same hillside. I first visited and photographed the Cathedral in Christchurch, New Zealand, a few days before it was destroyed by the devastating earthquake on 22nd February 2011 (photo on right). When I returned to New Zealand at the beginning of 2013, I was able to take the photo on the left, as Cathedral Square was open for a few days over the Christmas and New Year period when the workmen took their holidays. 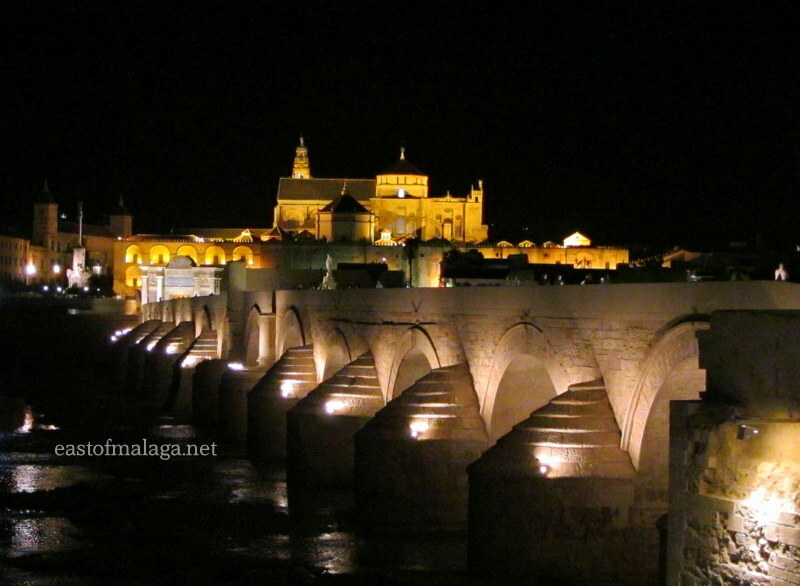 One of my favourite cities in Andalucía is Córdoba and here it is in all it’s glory with the Mezquita taking centre stage, as viewed from the other side of the city’s Roman bridge. And here’s the same view at night. Lovely isn’t it? In this series of photos, the subject is the aircraft wing of the Ryanair flight I was on, coming into land at Dublin airport in Ireland. As you can see, even though the subject remains the same, the background has changed considerably and we were greeted by the most amazing sunrays peeping through the clouds. ** Lady of the Cakes lives in central Spain, in the beautiful city of Toledo and offers “vignettes from a multi-lingual, cake-eating freelance existence”. 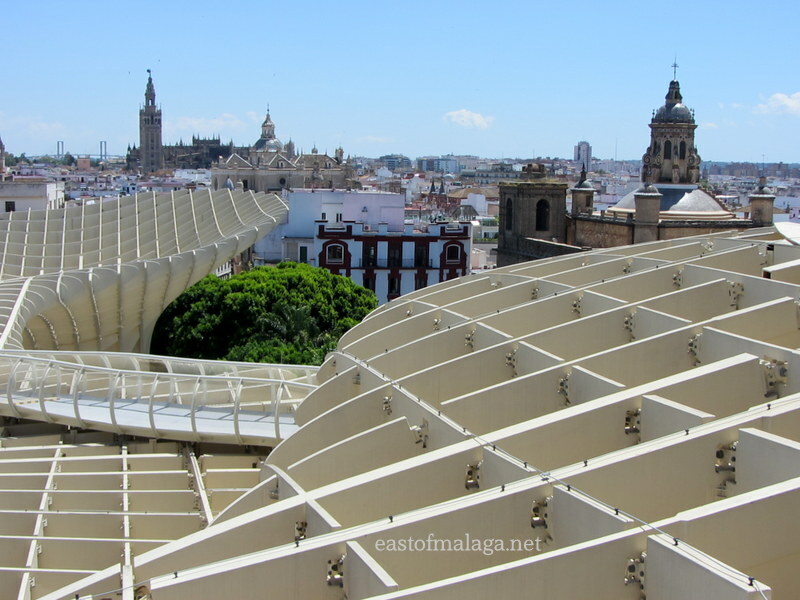 In a recent post, Simone shows us around some of Toledo’s Palacial Patios which are accessible once a year, and for one week only (during the Corpus Christi celebrations), when a number of private houses open their patios (inner courtyards) to the general public. Of course, this is Don Quixote country, so you might enjoy reading The Weekly Don Quixote Series. Simone always holds my interest with her posts, shares some fantastic photos and often has me in stitches at some of the antics she gets up to. I’d love you to pop along and say HOLA! 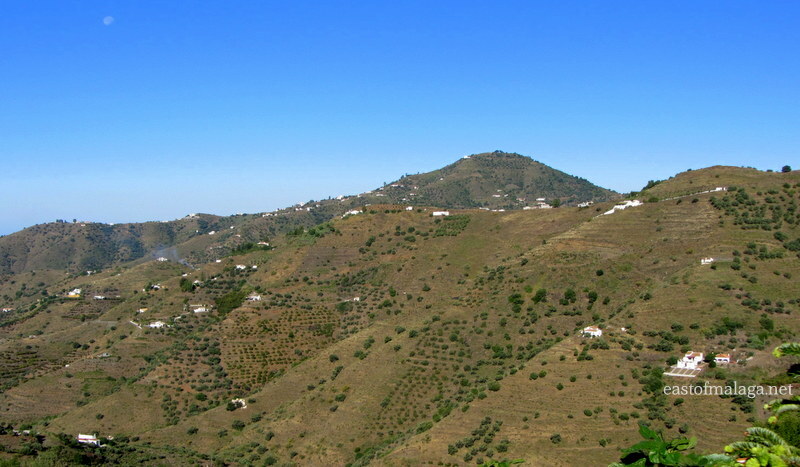 ** Lynsey at La Rosilla – Lifestyle and Food like me, is a British expat who moved to the Axarquía region of southern Spain about eight years ago. A passionate home cook, and self-confessed “cook book whore”, Lyndsey celebrated World Sherry Day last Sunday with the opening day of this season’s Supper Club. This multi-talented and super-busy lady not only offers cooking classes to visitors, but also finds the time to deliver ready-prepared meals for special occasions. Check out Lynsey’s delicious delivery delights for a nearby villager on Mother’s Day, recently. Mmmm …. think I might have to book into La Rosilla for a Supper Club celebration soon! So that´s the CBBH Photo Challenge for JUNE, everyone!